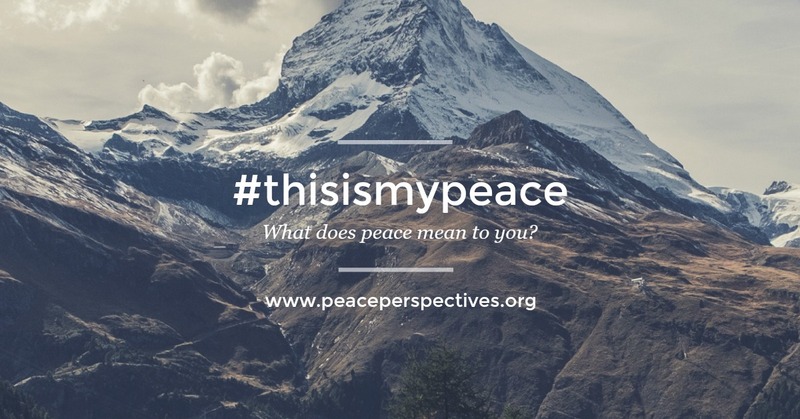 ABOUT THE PROJECT: In May 2017, we asked the residents of Umakunda in Ramechhap District, Nepal what makes them feel at peace. Most of the respondents associated peace with the future of their children. Since education is one of the factors in ensuring a better future for children, we coordinated with the principal of Bamti village’s elementary school. We decided to organize a book drive and establish a mini-library for the benefit of the school children. 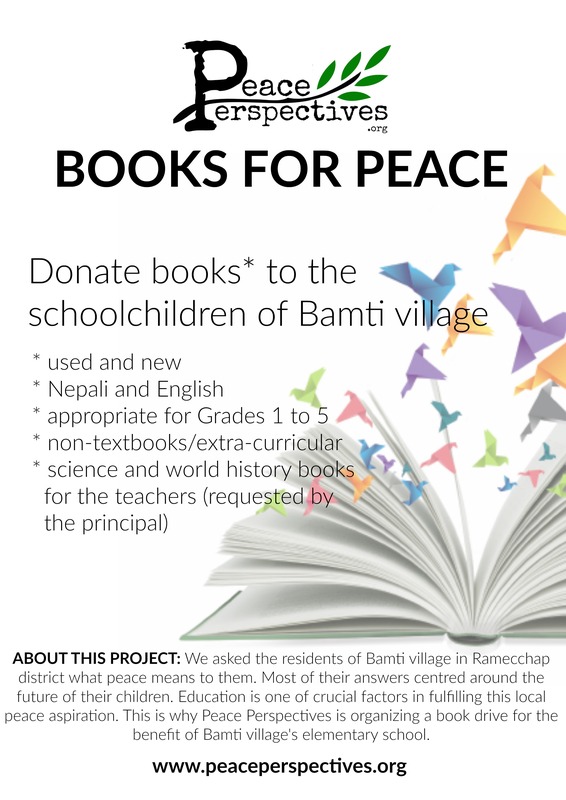 If you are interested in helping us fulfil the local peace aspiration of Bamti village residents, please consider donating books or donating funds to Peace Perspectives for us to construct and install bookshelves, purchase new books, and transport the books to the village. ABOUT THE BOOKS: We are requesting non-curricular books to promote reading among the children outside their school’s curriculum. To encourage them, we will run a contest of book reviews by the students. The principal of the school also specifically requested science and world history books to guide the teachers in their classes. New/used and English/Nepali books are very much welcomed. ABOUT THE SCHOOL: Two years after the 2015 earthquake that hit Nepal, the reconstruction of elementary school in Bamti village is still underway and they had to do with makeshift classrooms for now. The school has 63 children and 6 teachers. ABOUT BAMTI VILLAGE: Bamti village is located in Ramechhap District, Janakpur Zone, eastern Nepal. As of 2011, Bamti (or Bamti Bhandar) has 3,144 residents in 739 households. The lack or inadequate transportation infrastructure contributes to the remoteness of the village. Heavy rains make the rough roads inaccessible leaving residents and visitors no option but to walk 17.6km for around 5 hours to reach Shivalaya, the nearest town where transportation is available during rainy season. Several houses in Bamti still sit in ruins since the 2015 earthquake as reconstruction support from the government is yet to be completely implemented. Like the rest of the country, agriculture remains to be the main source of income for local residents with potatoes, wheat, rice, buckwheat, and millet, among others as their main crops. In May 2017, Bamti residents also participated in the first local elections in 20 years and walked about an hour to their polling station dressed in their best to cast their ballots. Peace Perspectives team talking with residents about the election. Father and daughter manually threshing wheat. Workers rebuilding a house destroyed during the earthquake. A house left in ruins after the earthquake. Visit our GoFundMe page or our Donate page for more options.